My absolute favourite era of NFB films is the 1950s. So many great films came out of that decade, during the NFB’s transition period after the war. The Board started to explore subjects of all kinds, while always staying close to its mandate of showing Canada to Canadians (and the rest of the world). Short films were still shown on Canadian movie screens on a monthly basis. Today’s blog post is about one of the theatrical shorts in the classic Canada Carries On series, which screened in Canada from 1940 to 1959. After the war, these films focused on such diverse subjects as science, welfare, the arts and industry. 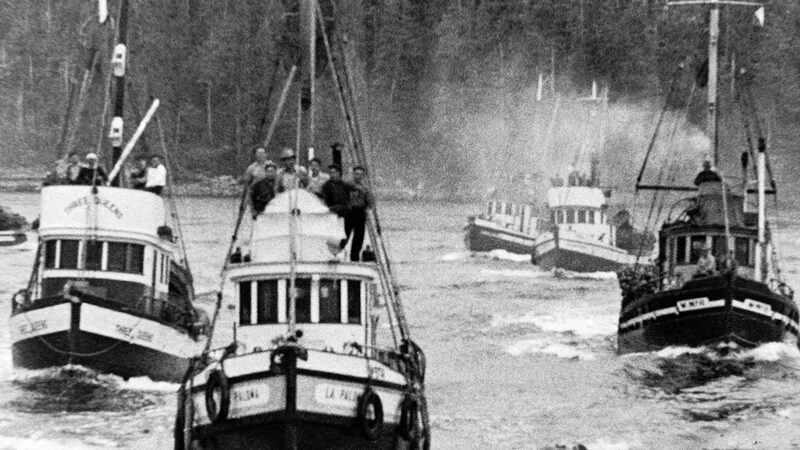 Herring Hunt, released in 1953, focuses on industry. The fishing industry of British Columbia, to be exact. Watching this film for the first time you’ll see that, although there are many documentary sequences in it, there are also fictional scenes in which the fishermen play themselves, and one actor plays the lead role. This is Canadian icon Bruno Gerussi of The Beachcombers fame, in what is widely cited as his first screen appearance. Director Julian Biggs had seen him on stage in B.C. and recruited him. 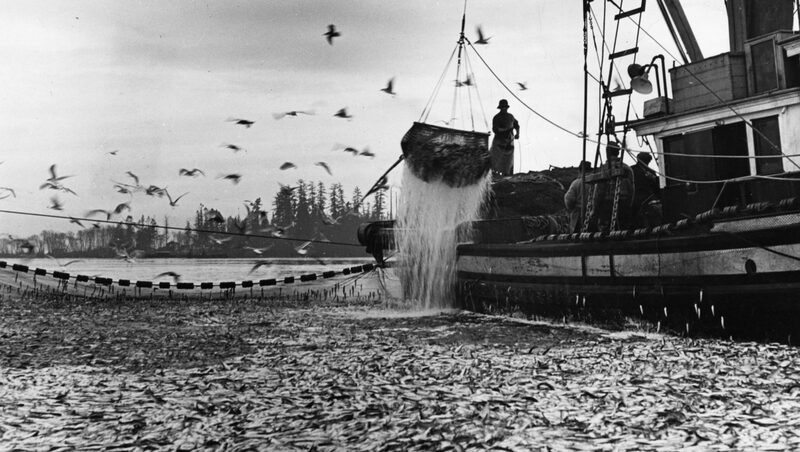 Screenwriter Leslie McFarlane interviewed many herring fishermen to get all the details right about the search for these commercially important fish. In addition to its screenings in the Canada Carries On series across the country, the film was released in the U.S., where it picked up an Oscar nomination. 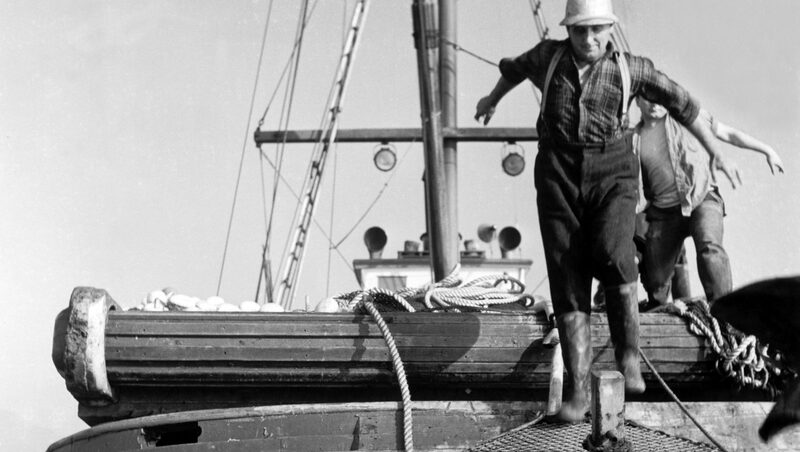 In Herring Hunt, Gerussi plays an impatient young fisherman who’s not very keen to wait for the herring boat he’s on to reach prime fishing waters. As far as he’s concerned, the captain of the boat doesn’t know what he’s doing and shouldn’t be wasting time investigating new areas to fish. Wasted time means no fish, which means no pay. Once they reach an area that’s flush with fish, our protagonist decides he’s going to show the others on the boat how to do things the right way. Of course, you can predict what happens. His inexperience and foolish bravado will cause the boat to miss out on a huge haul of fish. Not to worry, though, because all will work out in the end. The wise old captain, who knows more than a thing or two about fishing and people, will steer the boat, and Gerussi, in the right direction. This film is a great example of NFB storytelling of that era. Armed with a polished screenplay based on real events, the filmmakers made sure the story was told in interesting and dramatic fashion. 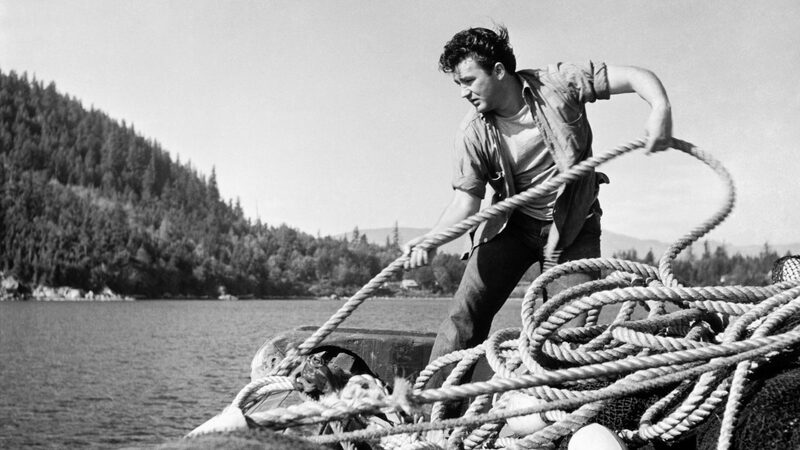 Gerussi, who was in his 20s at the time, played the part of the impatient young man perfectly. In addition to its screenings in the Canada Carries On series across the country, the film was released in the U.S., where it picked up an Oscar nomination in the category of Best Short Subject, One Reel. This led to sales around the world, with the film being versioned into French, Spanish, Finnish and Portuguese. An official at Fisheries Canada wrote to the NFB to say that he’d seen the film at a theatre in Seattle—and the audience had applauded at the end! I invite you to watch this forgotten jewel of a short, which tells an everyday story in a fascinating and dramatic way. For all you fishing fanatics, we've put together a list of 15 films about fishing, and gave you a little map of some of the best fishing spots in Canada.